Wall wraps are an effective way to enhance an environment. 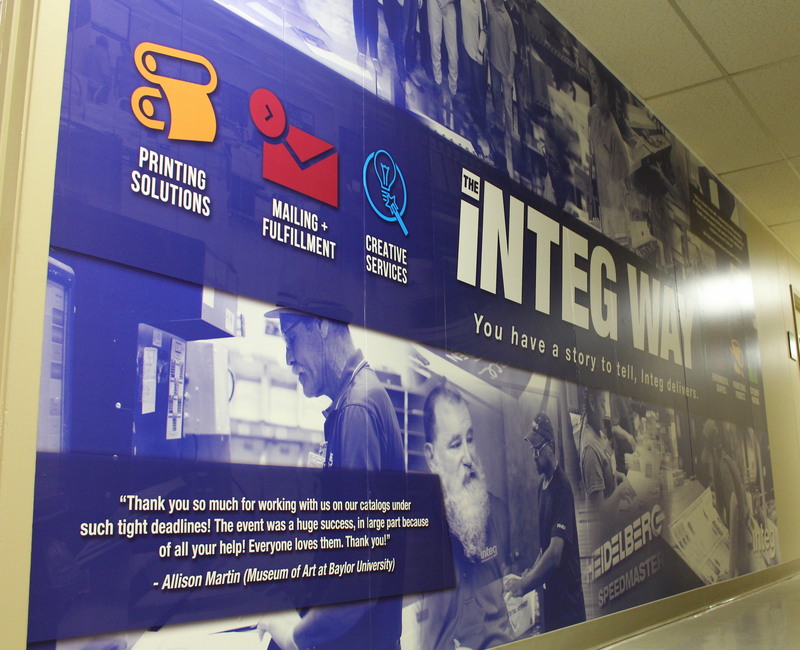 We identified an environment that needing enhancing and Integ’s Environmental Graphics team created and installed a vinyl wall graphic in one of our facilities. The environment was a bland hallway that employees and visitors walked through daily. We decided a blank canvas like that could be used to connect the people to the place they were in and offer a sense of motivation to employees. Our creative team built the artwork from scratch using their wit and years of experience. The artwork includes various employees doing what they do best, testimonials from clients who love our work and our internal slogan centered around exceeding client expectations on a daily basis. Our Environmental Graphics team printed the artwork on adhesive vinyl, a material perfect for wide format printing. To finish it off our team installed the wall wrap with ease. Now our bland hallway has an identity. Every environment serves a purpose, whether it’s wayfinding or branding, custom wall wraps can help you connect people to places with purpose. If you have a need to enhance your environment to fit a purpose set up a free consultation with our Environmental Graphics team. 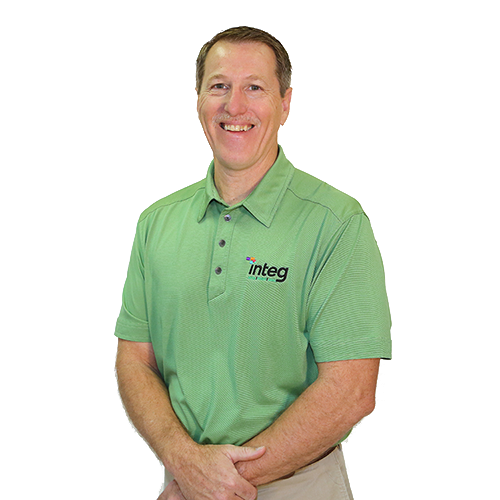 Our team will evaluate the environment and discuss with you about what purpose it serves. They will propose ideas and direction to best connect people to your place.